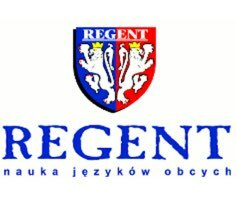 Regent School of Foreign Languages and Regent Primary and Middle High School located in Elblag, Poland are recruiting Native Speaker Teachers. Prospective candidates need to have minimum one year experience of working with kids and teens aged 5-14 and a degree. The contract starts on the 4th of September 2017 and finishes at the end of May 2018. We are an ambitious and well established language school, primary school and middle high school located in a picturesque and quiet part of Poland. We specialize in working with young learners and achieve very good results with them. Our teachers form a friendly and supportive team consisting of Polish and American teachers. A prospective teacher will have the possibility for professional development by working with a wide range of students and also for learning from our senior staff. We offer excellent work conditions including access to all resources needed, locally competitive salary, comfortable accommodation close to school and first of all paid work visa and registration, medical insurance and free airport pick-up.